Arts Is Tarot Making A Comeback In Hong Kong? Is Tarot Making A Comeback In Hong Kong? Some people believe in fortune telling, while others resist the idea that divination tools can predict our future. However, more and more people are now turning to different forms of fortune telling—be it feng shui, astrology or tarot—as evidenced by the rising number of searches on Google. Here in Hong Kong, Letao Wang is one of the more well-known tarot card readers who describes tarot as "an astrology reading that gives guidance to the soul." 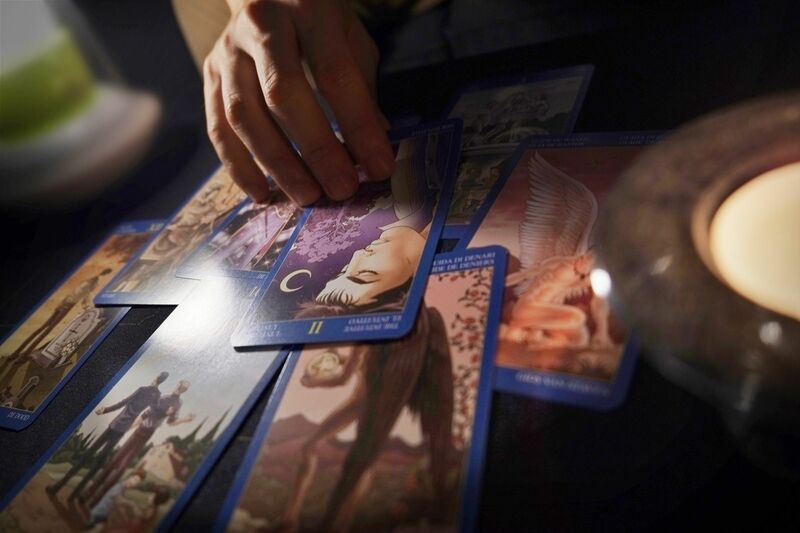 With a client base ranging from local celebrities to members of the Tatler community, he talks to us about the true meaning of tarot and his most unforgettable tarot reading. When did you start reading tarot and how did it become a profession? When I was in my early 20s, I accidentally walked into a spiritual counsellor’s shop in Sydney, who later took me under his wings, became my mentor and taught me astrology and tarot. I started to help friends and families through my readings and people loved it. I felt a very strong sense of calling around that time. But still, I wasn’t confident to do it professionally. A few years later, I was asked to provide reading service at a public event for holistic healing and spirituality. At first, I had reservations as it would be the first time for me to read people I don’t know in public, but I plucked up my courage and accepted the invitation. I turned out to be the busiest and the most popular reader there. That's when I thought: this is my calling. What drew you to tarot? Many esoteric studies are rooted in astrology, including numerology and tarot. I was initially drawn to astrology and stars, but after a year of training in astrology, I encountered tarot. Tarot is a deck of 78 cards with 78 degrees of wisdom, and there are very important archetypes hidden behind the beautiful pictures. I've been reading tarot professionally for over eight years and I'm still amazed every day by its philosophy and art. Do you consider yourself a fortune teller? Fortune telling is more of a one-dimensional practice that tells people what is going to happen, in a way that seems like we have no control over the future. I tend to focus on analysing my client’s psychology and tendencies. Nothing is stagnant and nothing is 100% fate. We always have a say in our own life and the ultimate purpose of the session is to find the right path to avoid unnecessary mistakes. What does a tarot reading with you look like? It's a little bit like seeing a psychologist and fortune teller. Apart from using traditional tarot and numerology, I use a very unique card reading system with foundations in Western astrology. The client is seated in a comfortable, quiet and private environment, and I help him/her explore their potentials and tackle difficulties. This could be about love and relationships, career and/or personal development. Who should be consulting a tarot reader and how often? Anyone can gain something through a good and professional tarot reading. The most important thing is that we are genuinely looking for guidance. When we truly have a sense of purpose in our consultation, the reading can be very informative and helpful to us. Since the ultimate goal of my reading is to help clients to see clarity and guidance, it always works better if the client has some questions or even concerns. I usually recommend one reading every six months to my clients. What's the most unforgettable tarot reading experience you’ve had with a client? Three months later, she came back for another reading and again, the cards were screaming “find love online,” but still she was not keen on the idea. When she came to me the third time to ask about love, I repeated what I saw in the cards and advised the same thing. Finally, she created an online profile on a dating app. Two months later, a man close to her age flew to Hong Kong on a business trip from Canada, and they matched on the app to meet in person. She now lives happily with him in Vancouver. It might sound like a fairytale but it's one of the moments that show how much tarot can help us—to be more open-minded, to always have hope, and to always march forward. People Quiz: Which Hong Kong Bachelor Is Right For You?